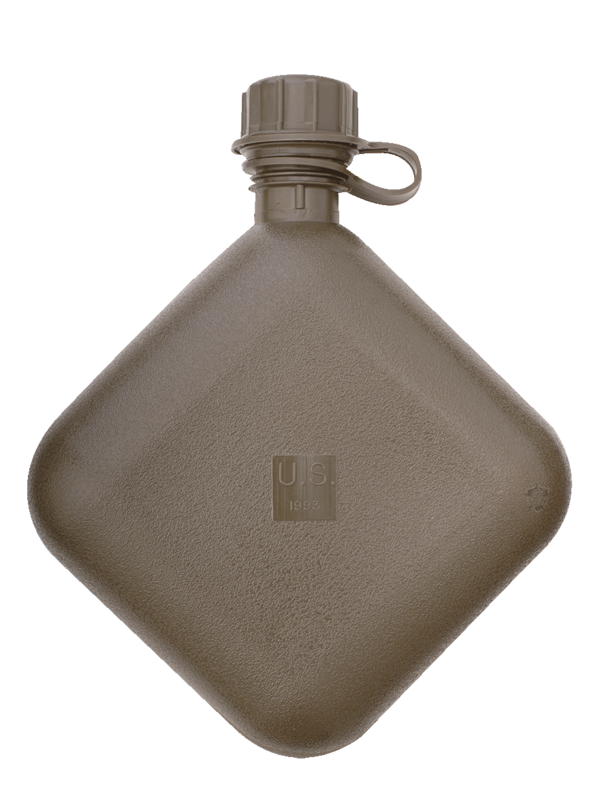 The GI 2qt Canteen was designed for the soldier, but is also ideal for campers, survivalist, and the outdoors. Because it is flexible and collapses when empty, you don't have the bulk of hard shell bottles taking up precious cargo space. They are made from 100% BPA free plastic and will hold up to 2-quarts of liquid. These canteens are made in the USA by a government contractor. Item is compatible with the 5ive Star Gear® GI Spec 2qt Canteen Covers.